Wifes computer just did latest drivers since i just upgraded her to 1060 for dual dp since her 970 didnt have it, is there a separate DP driver Firmware? Is there a FAQ page for this might be worth wile since reading 300 posts is not my definition of fun. Rewired everything, updated firmware on gpu. Seems to work for now, had a weird thing when switching between ports but ill keep and eye on it and see if it stays working. Have side issues to Tshoot (Linux TB3 Dock) but pretty sure the windows boot works (need to check since changes, side not XPS 15 even with it having a 1050ti it doesnt get the firmware for dp. Nvidia has changed stuff in newer drivers assuming everyone has that fw update. So that’s annoying. Interesting electrical noise issue not the KVM’s fault but something for people to be mindful of. As part of cable management I had a lot of wires cramped up in an Ikea wire shelf thing, an incandescent desk lamp cable was in there a long with DP cables, USB cables etc. Turning the light on/off would cause the smaller monitor to blank out for about 2 seconds then recover. Sometimes with power on, but 100% when turning it off (maybe an inductive kick creating a magnetic field in the 115v lamp line affecting DP signal to the monitor?). Not sure if this is exacerbated by the fact my 970 dictates I use a DVI to DP adapter for the second feed into the desktop input of the KVM (maybe weaker DVI signal, maybe weaker signal out of the KVM, I didn’t trace the nest of wires the lamp 115vac ran by). Anywho, when troubleshooting odd issues with your monitors, check for high power lines next to sensitive signal lines. Yeah, I had similar issues with my audio cables recently. An hand me down, to give background light but maybe it’s time to do the good’ole RGB light strip behind the back of the table. I’m wondering about this too. Earlier up in this thread, it sounded like we’d need new physical hardware, but the internals have the display ports/DSP on a daughter card which could potentially be swapped out. I currently have a 10-bit/HDR display as well, and right now I have to pump HDR content through my PlayStation 4. I was wondering if there were any plans to sell updated internals to this to support a DP1.4 DSP chip. @wendell The spring batch of KVM switches, for dual monitors. Do you happen to offer a pre-purchase program for this next round? Would hate to miss out on this. Looking through this thread and details on the store page. Looks like I shouldn’t have to many issues? Looks like people are getting Gsync to work with these KVM switches? With this current setup, I should be keeping the total length of the DP cables from PC’s to monitor to 4 meters or less? Not sure about this one, some people are reporting it working, some not. Some people have reported (I can’t confirm) issues with higher bandwidths. Not sure if you’ll run into an issue. I’m actually looking at buying a similar display. If you wind up getting a KVM, can you report your findings? absolutely, I can do that… I guess I’ll take my chances with the gsync. Appreciate the info. Not sure if any of ya have tried these cables to help alleviate some of the cable issues. 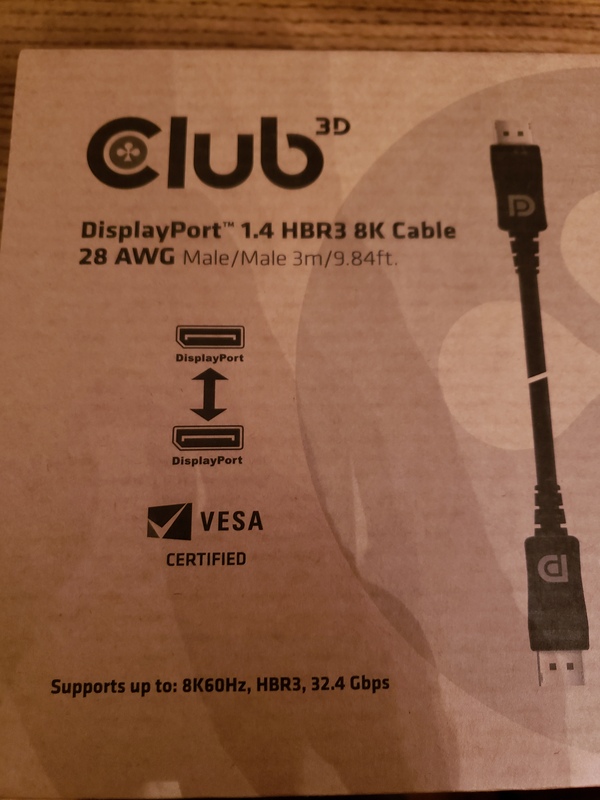 But I had issues on my samsung monitors(not using the KVM) and just wanted to see if this cable may help some of you guys. Has anyone here attempted to solve the deficiencies of DP hot plug detection with a hardware adapter? Currently, the KVM isn’t of much use to me because I have to put my laptop to sleep every time I switch to it just to get the monitors to detect. I think a complicating factor is the laptop uses discrete graphics when an external display is attached and switches to iGPU when no external displays are detected. So, switching away to another output port on the KVM causes the hybrid graphics to toggle as well. I have one if anyone wants to buy. PM me. Never used. If you want to sell something here your best bet is to make a thread in the B/S/T category. Note that the B/S/T has additional rules to help ensure all parties don’t have a poor experience. In anticipation of the next batch of dual monitor KVMs being available in a month or two, I was hoping someone could help answer a very basic ‘how do I use a KVM’ question for me. I have a work provided Surface Pro with USB 3 and a mini DisplayPort connections. I also have a home desktop with a GeForce GTX 750TI card with a mini-HDMI and two DVI connections. It is this second use case (and the various permutations) that I am unclear about. Does a KVM provide this level of control? Any solutions to this? Also, assuming I get the correct mini-HDMI, DVI and mini-Displayport adapters and I buy two monitors that have displayport, is there any reason why the Level1 KVM would not work with my setup? I have a couple of questions about the DisplayPort KVMs which are causing me to hold off on pulling the trigger… It’d be awesome if someone who has used one could fill me in! Can the USB HIDs be switched independently of the displays? e.g. displays on host 3, USB HID on host 1? It’s a feature of the Aten CS1944DP which I think I’d use a fair amount, and it would be a shame if it were missing from the Level1 KVM. Likewise, can the audio be switched independently? Thinking about it, being able to read a PDF copy of the manual would probably answer all my questions. Is there one freely available for download? Can the USB HIDs be switched independently of the displays? There isn’t really a manual. Somewhere in this thread, I covered most of the keyboard commands, which pretty much covered the gamut of it’s capabilities.